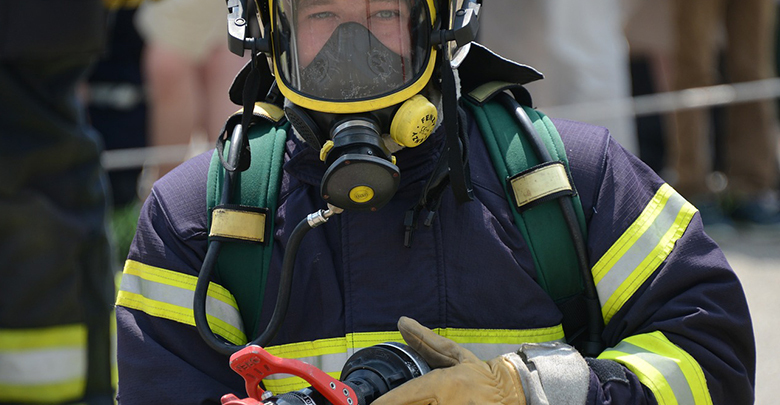 Question: Is it true that by following certain techniques then you are going to be able to get through the Firefighter Selection process? Answer: No, it is not a simple as that, it’s not a career that’s right for everybody, you have got to be committed. You have got to have talent, you have got to have a certain amount of natural ability. All the practice in the world, all the right techniques are not going to help you if you do not have a natural aptitude but unfortunately it doesn’t work the other way; you can have people with a lot of natural aptitude but they just don’t have the techniques; they don’t have the selection process skills and that is what holds them back. So what we are very much looking to do is help those people who do have the natural skills, the natural aptitude- they could be excellent firefighters they just do not how to get over the hurdles of the selection process. Question: What question are you asked most? Answer: I think it is ‘what will make my application stand out’? I think people really struggle with getting the application right and understandably it is tough, it is meant to sift out so many people, you have to put a lot of work into your application form. I think sometimes if applicants think, ‘oh well the first answer that comes into my head I am just going to jot that down and think that my motivation and desire is going to be enough to get me through’ it just really doesn’t work like that. 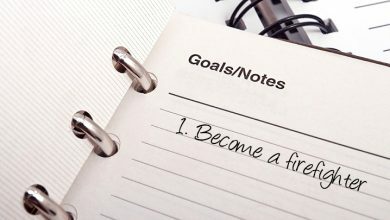 When I think of an example, from talent shows, sporting events, finals that you watch, anything that you see that has taken people a lot of effort to get there, you have to make so many sacrifices to get to the top of the game and I think it is the same with becoming a fire-fighter, you have to really push yourself, do a lot of work, do a lot of preparation, and actually it shouldn’t seem like too much of a sacrifice if it brings you closer to where you want to go. You need to put a lot into it to make your application form stand out, but it is absolutely doable you just need to have the dedication and commitment to really see it through beginning to end. Question: What can you tell us about the application form? Answer: There are so many different tips it’s hard to pick one! For the last couple of years I have been working closely one-to-one with certain individuals who come to me because they want to get feedback on their application forms. Now the great thing about that is I get to see the mistakes people make, and generally it is the same mistakes again and again. In an application form often you can be very used to having to write down what you think about something but this application form is completely different. What you need to be doing is writing specific examples of things that you have done in the past which prove beyond a shadow of a doubt that you are really good at these particular areas. Once you have it, it is really straightforward but I think people struggle when they first get their application form because it is a little bit different. There was an individual, let’s call him John, and what happened with John and why it stands out in my mind is that he left it really late he came to us and I think his application was due in four days and so by the time he had completed it and got it in the post he was leaving it really late. It was his wife who pushed him into it and said you need to get help with this because he had applied three times before and never got anywhere with it and he was really demoralised and she could see that this was really something that he really wanted. He was really motivated and she was prepared to make a few sacrifices to get him to be where he needed to be so she really pushed him to get him to send us his application form for us to review and we looked at it and it was so straight forward the mistake he was making, and it was such a shame that it cost him years of him of completing the application form, sending it off and not hearing. And yet it was really straight forward the mistake he was making and it was a really common one and this is a really good tip to pay attention to. So what he was doing was he was just dropping in ‘PQA phrases’- standard phrases that the application form is measured against and what he was doing was he was just taking out elements of these key phrases and just putting them into his application form. For instance he would talk about how he was ‘calm and controlled in a stressful situation.’ That is just a direct lift from one of these PQAs, one of these key criteria, so what he wasn’t doing was giving any evidence of what he was good at or what he had done in the past. He was very much just saying things like ‘I coped well under pressure’ and ‘controlled my emotions’, but that doesn’t give any evidence of HOW he did those things. He needed to expand, he had some really good examples but all he was doing was using these very standard phrases which was quite frustrating as it wasn’t demonstrating his true capabilities at all. There are really specific ways we can help people expand on their answers when they are doing things like that. A really good place to start is just to use the word ‘by’- a simple word that if you are writing a sentence on your application form and you say something like ‘I worked well with the team’ if you put a ‘by’ at the end of that sentence you are going to give more information that the people who are marking the application forms are going to need to see. It really encourages you to give a little bit more of the sort of detail that you need to be putting down on your application form. 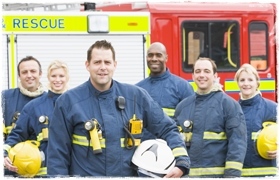 Think a job with the Fire service is all about community safety and putting out fires?